The Reciprocal Privileges page on our website has been updated with the 2015 Reciprocal Agreements. You may find this page under the Membership tab. We encourage all club members to take advantage of these opportunities to play neighboring courses. The new fleet of 50 Club Car Precedent golf carts have arrived. They are equipped with the new Visage GPS units, ball and club cleaner, and sand bottles. They are very nice and you will enjoy your round with accurate yardages from our new GPS units. 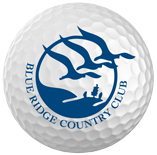 To use a cart to practice on the hill there will be a $5.00 charge if you are not playing golf with a paid cart fee. The increase in member cart fees is to help offset the cost of doing business. The Visage GPS system is now installed on the club's golf carts. If you have questions on how to use the GPS system please check with the Pro Shop staff before you tee off. On this page you'll find the latest news from our club. Whether it's an upcoming event, tournament or just general information. Please check back here often as we plan to update this page regularly.